Supreme Cleaning is a professional and reliable cleaning company with an excellent reputation among our wide and varied clientele for providing bespoke window cleaning services. Kent, London and the South East are our main areas of operation and we cover a broad range of commercial premises, including offices, warehouses and industrial units, health centres and schools, pubs and restaurants, hotels, care homes, entertainment venues and much more. We all know that first impressions are critical in a business environment. Is the outward appearance of commercial premises letting you down? When it comes to windows, particularly in busy urban areas with a high degree of pollution, such as London, regular window cleaning is a must. At Supreme Cleaning, we offer a full commercial window cleaning service for the inside and outside of your commercial building in London, Kent and all over the South East. Using professional reach and wash systems allows us to deliver highly efficient and cost effective results every time. We know how important it is to keep your business running smoothly, with no inconvenient interruptions to your daily schedule. Our regular window cleaning contracts can take the stress away: our reliable service and superb results will leave your windows spotless and your outlook clear, just as it should be. For commercial window cleaning services – London, Kent and the South East – Supreme Cleaning should be your first port of call. Thanks to our rigorous recruitment and training processes, all our operatives are fully competent in their work. Every team member is reference checked and insured. 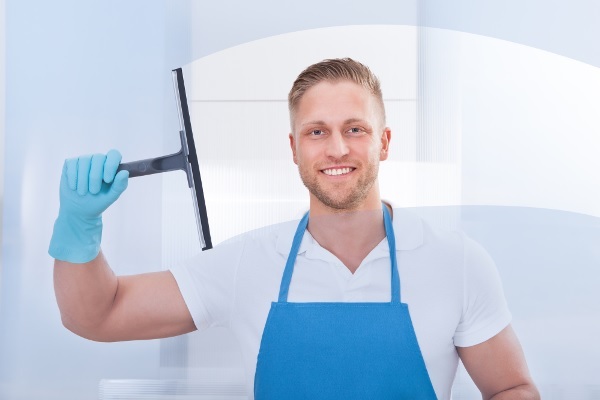 All window cleaning operatives receive comprehensive training in relevant window cleaning techniques, so they are able to carry out the job safely and proficiently. At Supreme Cleaning, our customers are guaranteed 100% reliability in their service level agreements. Wherever our operatives are working – London, Kent or anywhere in the South East – we will cover any staff absences, sickness or holiday to make sure that service levels and window cleaning standards are maintained at any time. Our main goal is to supply reliable, competent and experienced window cleaning staff who will deliver a great service with outstanding results every time they visit your commercial premises in the South East of England. Our supervisors carry out regular site checks to make sure everyone is continually happy with the service they receive. All our operatives are instructed to work to a customer specification document which outlines the exact requirements for the job. We also encourage regular 4-6 months review meetings with our customers to check if any changes to the spec are necessary. Obviously, should you have a query or extra requirement for, say, carpet cleaning or washroom cleaning, this can be accommodated at any point. Simply contact us to receive a discounted quote. For an informal chat with our friendly team about one of the most efficient and competitive window cleaning services Kent, London and the South East has to offer, please get in touch. Contact Supreme Cleaning for a free no obligation quote here or call the office on 0203 092 4777 (London) / 01322 384500 (Kent).